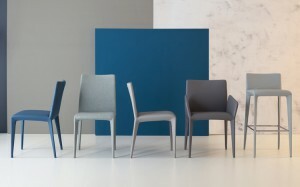 Description A beautiful contemporary dining chair with a steel structure, padded with high density crush proof rubber and covered in a choice of leather or ecoleather (see sample links below for all colour options). 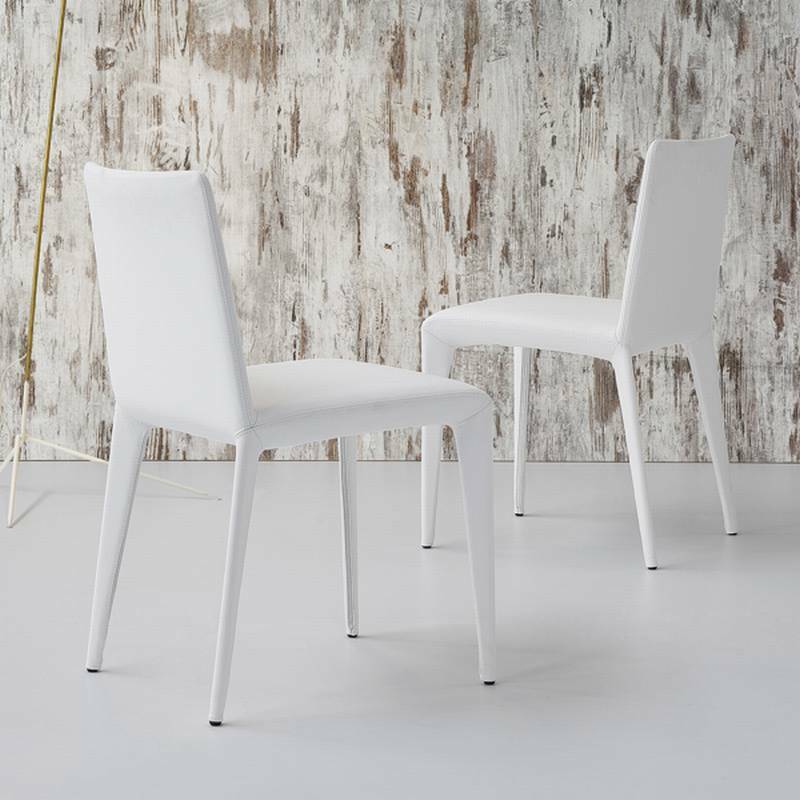 The steel legs are elegantly tapered and available with a chromed, matt white or matt grey finish, or covered with leather/ecoleather to match the seat. Fabric covers are also available, please contact us for more details. Part of the Filly family, see related products below. Filly is a brand new range of seating from the studios of Bartoli Design and made by the Italian craftsmen of Bonaldo. The design has an overall feeling of informality and softness – the subtle curves of the chairs and stool in this collection are inviting and comforting whilst retaining a distinctive character. Available with the option of lacquered, chromed or covered legs, Filly has a widespread appeal and will fit effortlessly into any modern environment.